AL-6XN® alloy solves many tough corrosion problems facilities face. The experts at Central States Industrial (CSI) take corrosion seriously and understand that waiting months for tubing, fittings, and equipment is never a feasible option. CSI carries an extensive stock of corrosion resistant super alloys, allowing for a quick turnaround. The high strength and corrosion resistance of the AL-6XN alloy make it a better choice than other super austenitic stainless steels, such as 254 SMO® or 904L. 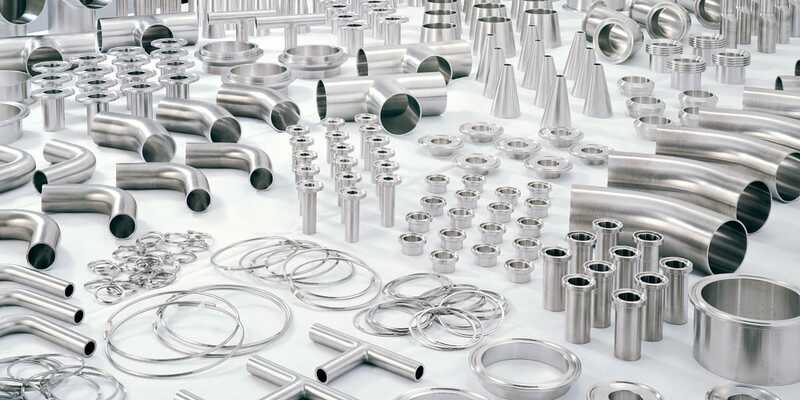 It outperforms conventional duplex stainless steels—such as 2205 or 2507—and is a cost-effective alternative to more expensive nickel-based alloys in applications where excellent formability, weldability, strength, and corrosion resistance are essential. AL-6XN alloy has both the strength and the corrosion resistance to maximize life cycles. AL-6XN alloy has exceptional resistance to chloride corrosion, pitting, crevice corrosion, and stress corrosion cracking. It has excellent corrosion resistance to various acids, alkalis, and salt solutions. AL-6XN alloy is identified by the Unified Numbering System (UNS) designation of N08367. It is an austenitic stainless steel alloy with high nickel (24%), chromium (22%), molybdenum (6%), and nitrogen (0.18%) content and is commonly known as super austenitic stainless steel (alloys such as 254 SMO and 904L also fall under the super austenitic designation). AL-6XN alloy has a face-centered cubic crystal structure similar to other austenitic stainless steels such as 304L and 316L. The alloy is non-magnetic, and its magnetic permeability remains low even after severe cold forming. AL-6XN alloy is commonly used because of its excellent mechanical, high-temperature, and corrosion properties. AL-6XN alloy is available in a wide range of product forms complying to specifications set by ASME and ASTM. AL-6XN offers many benefits like cost effectiveness, product range, commercial availability, and fabrication capability. AL-6XN is ideal for ketchup, tomato paste, vinegar-based products, sports drinks, hot water systems, shampoos, toothpaste, and cleaning supplies. There are many advantages to utilizing the superior corrosion resistance of AL-6XN alloy. All AL-6XN alloy tubing and fittings supplied by CSI will meet CSI's standards for surface finish and dimensions. Answers to frequently asked questions about installation, appropriate applications, and expected life for AL-6XN alloy.